Solutions for Your Wet Basement Problems. We fix your problem and back it with a lifetime warranty! Get a Real Solution From a Reputable Water Proofing Company! 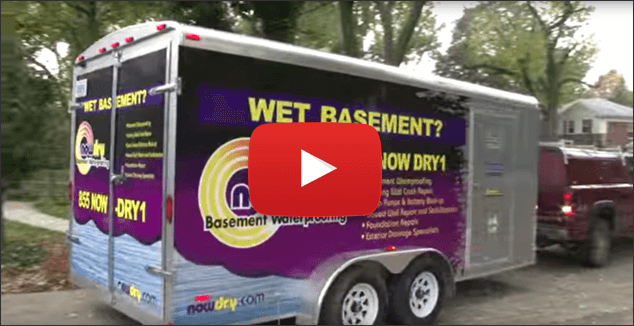 Now Dry Basement Waterproofing in Fenton, MI has been providing honest and affordable solutions to wet basements, wet crawlspaces, cracked foundations, and other water-related issues for homeowners all over Michigan since 1996. 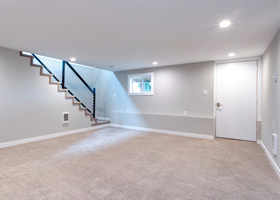 Our experienced technicians are trained specifically in basement waterproofing and foundation repair, so you know you'll have the best wet basement solution at the best price. We are fully licensed and insured waterproofing contractors serving homeowners in southeast Michigan including Brighton, Royal Oak, Bloomfield Hills, Redford, Waterford, Warren and the surrounding areas. When Your DIY Waterproofing Solution Fails, Call Us! Truth is, most leaky basement issues are a sign of bigger problem. Tars and quick-setting cements can provide a temporary patch, but they don't address the underlying issue. If you have an older home in Michigan, then drain tiles, sump pumps, and proper grading probably weren't even a consideration during initial build. Now Dry has experience in basement leak repair which is often needed in older homes, slab homes, and poured concrete basements. We've waterproofed hundreds of wet Michigan basements and know just what it takes to stop your basement from leaking water. We'll be upfront and honest in our assessment. If all you need us to do is seal a wall crack, that's what we'll suggest. But if your wall is bowing out, rest assured we are the best basement repair company to stabilize your wall and repair your foundation. 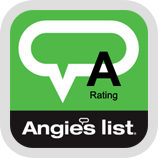 Now Dry is local, trusted, and recommended by homeowners all over Michigan for repairing wet basement problems correctly. There are a lot of general contractors who claim to be waterproofing specialists. The owner of Now Dry is a waterproofing specialist with a contractor’s license. 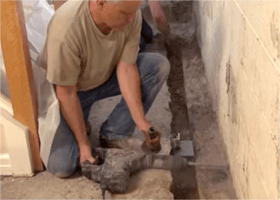 The difference is this: we understand the engineering behind foundations, are certified installers of the drain tile systems used to repair the issues causing the water seepage, and we can repair the structure using the latest technology and techniques. You get a real waterproofing solution from a reputable company. Are You Ready To Reclaim Your Basement? Let us custom-design a wet basement solution keep your basement dry and make it usable again! If you're looking for professional and reliable waterproofing services, contact us today!